Killer whales display personality traits similar to those of humans and chimpanzees, such as playfulness, cheerfulness and affection, according to new research published by the American Psychological Association. Researchers in Spain analyzed the personality traits of 24 captive killer whales (Orcinus orca) at SeaWorld Orlando, SeaWorld San Diego and the Loro Parque zoo in Tenerife, Spain, which operates its killer whale program in partnership with SeaWorld. Six of the killer whales were caught in the wild while the remainder were born in captivity. Trainers and other staff who worked closely with the killer whales completed surveys ranking each animal on a list of 38 personality traits, including playfulness, independence, stubbornness, bravery, sensitivity and protectiveness. Those traits were analyzed and compared with previous studies of the same personality traits for chimpanzees and humans. The research was published online in the Journal of Comparative Psychology. "This is the first study to examine the personality traits of killer whales and how they relate to us and other primates," said lead researcher Yulán Úbeda, a doctoral student in psychology at the University of Girona in Spain. "These similar personality traits may have developed because they were necessary to form complex social interactions in tightly knit groups that we see in killer whales, humans and other primates." The study used a common personality measure called the five-factor model, which assesses five personality dimensions, including extraversion, agreeableness, conscientiousness, dominance and carefulness. The model, which was developed in the 1930s, describes personality traits using a combination of single adjectives or descriptive phrases. Researchers found that the personality traits of killer whales were similar to those of both humans and chimpanzees but more similar to chimpanzees. Killer whales were similar to chimpanzees and humans for the extraversion factor (e.g., playful, gregarious and sociable). Killer whales and chimpanzees also shared a combination of personality traits for conscientiousness (e.g., constant, stubborn and protective) and agreeableness (e.g., patient, peaceable and not bullying), along with some personality traits relating to dominance. The findings may suggest some evolutionary convergence where the personality traits of killer whales and primates are similar because of the advanced cognitive abilities required for complex social interactions. Killer whales can live into their 90s in tightly knit pods that hunt together and share their food, displaying advanced communication skills and cooperation. Those traits received international news coverage when a 20-year-old killer whale, known as J-35 or Tahlequah, began pushing her dead newborn calf last July off the coast of Vancouver Island. With the help of other members of her pod, she kept the dead calf afloat for 17 days while swimming hundreds of miles, an exhausting effort that interfered with the pod's ability to hunt. There is some debate among researchers about whether the mother whale's actions displayed grief over her loss. Despite their name, killer whales actually are the largest member of the dolphin family. Both killer whales and dolphins have been known to keep dead newborns afloat, but not for such a lengthy period. Grief is a complex emotion that hasn't been observed in most animals, although some research points to mourning by some species that live in tight-knit groups, including chimpanzees, elephants and giraffes. 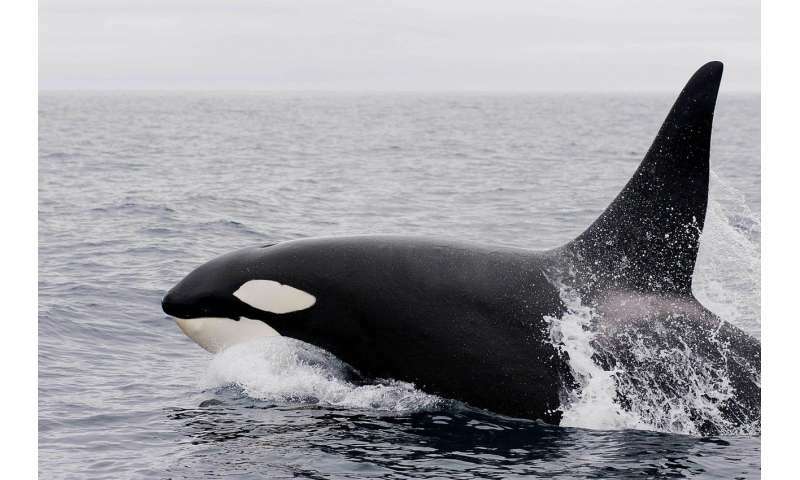 The current study didn't analyze any aspects of grief in killer whales, and it's difficult to know why killer whales carry dead offspring since killer whales can't communicate with humans, Úbeda said. "Some previous studies suggest that the mother's contact with the lifeless body could be important for the mother to make a psychological adjustment to the death of her offspring," she said. "In any case, those behaviors show how complex these animals are." Previous research has shown that captivity can alter the personality of killer whales, increasing neuroticism and aggression. Physical changes, such as dorsal fin collapse, also have been observed. SeaWorld, which was involved in this study, has faced scrutiny over the cramped living conditions for its captive killer whales. The current study didn't analyze the effects of captivity and was conducted with captive killer whales because it would be difficult to assess the personality traits of killer whales in the wild, Úbeda said. The personality traits that were observed in the small sample size of 24 captive killer whales could differ from the personality traits of killer whales in the wild, she said. More information: "Personality in Captive Killer Whales (Orcinus orca): A Rating Approach Based on the Five-Factor Model," Journal of Comparative Psychology, published online Nov. 15, 2018.